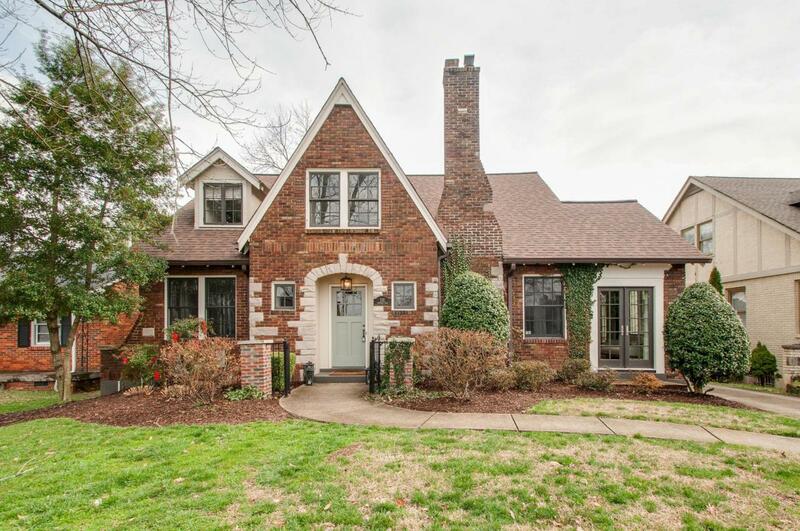 Beautifully renovated Tudor in Cherokee Park! Walkable to the Greenway and Sylvan Park. Minutes to the interstate via West End or Charlotte. Redone to the 9s w/ Wolf and Subzero appliances, Socttsman icemaker, Uline wine fridge. Surround Sound and 4 Sonos zones throughout the down stairs. A wonderful home for entertaining! Offered by Neal Clayton Realtors, Llc. Copyright 2019 RealTracs, Inc. Information Is Believed To Be Accurate But Not Guaranteed. Properties marked with the IDX logo are provided courtesy of the RealTracs Internet Data Exchange Program. Some or all of the listings may not belong to the firm whose website is being visited (Cory Real Estate Services, 931-298-0003). IDX information © 2019 MTRMLS, Inc. Information is believed to be accurate but not guaranteed by the MLS or Cory Real Estate Services. IDX information is provided exclusively for consumers' personal, non-commercial use and may not be used for any purpose other than to identify prospective properties consumers may be interested in purchasing. Data last updated 2019-04-26T00:05:13.753.